Twice a week I would go out for a run in the evening around the neighborhood and just about every single house will have flashes of light coming through their windows. This light isn’t from some sort of mad science experiment going on, but from the television in the living room zapping our brains with everything from movies, news, talk shows, commercials, and mindless reality shows. The Nielsen Company estimates there are now 118.4 million TV homes and the average American home now has 2.93 TV sets. The average American now watches more than five hours of television a day and the average viewer spends about 15 minutes of every hour watching commercials. Assuming the US life expectancy of 78 years, we spend about 16 years of our lives watching television. Let me repeat that again… 16 YEARS of our lives are spent sitting on the couch in front of a television. No wonder we are so unhealthy as a nation. Not only is our TV habit costing us time and our health, it is also costing us money. Less than 10% of homes get their TV over-the-air. Instead, we pay on average $103 a month for cable TV service. What is even worst than paying for cable is, we still have to watch commercials with our shows unless you pay extra for premium channels like HBO or buy (you did buy instead of rent, right?) a DVR to skip the commercials. As someone who has stopped owning a TV back in 2009 when the stations switched over from analog to digital and haven’t had any type of cable TV service over seven years before that, I found I haven’t been missing out on much. What does someone without a television do with all their free time? Besides going out for runs in the evenings, I keep in shape by lifting weights the other three days of the week. I’ve purchased two fixer-uppers during the recession and completely renovated both of them inside and out with minimal experience in the beginning with the help from the internet and YouTube. I’ve traveled and picked up hobbies like learning how to ride a motorcycle and a snowboard. The only thing as a non-TV watcher that I’ve noticed I’ve missed out on is commercials. As a result of that, I have stopped going to theaters to watch the newest movies on opening day and paying almost $10 for a ticket because I have no idea what is currently playing. But don’t worry, you will still get to see your Hollywood movies in the comfort of your own home with all your favorite snacks a short walk away in the kitchen since the time a movie goes from the theater to DVD, Blu-ray, and streaming services has gone down to about three months. As an additional bonus, you can watch your movies with no interruptions by annoying people on their phones, babies crying, or people who can’t sit through a 2 hour movie without getting up to go to the restroom. Maybe you are not ready to give up TV completely, but want to save some of that $103 dollars a month that cable subscribers are paying for television service. Here are some solutions for you so that shiny 55″ LED TV that is currently hanging in your living room doesn’t turn into a new type of wall decoration. Did you know you can get all your local news, weather, sitcoms, kids, and sports programs all for free and even in HD? It might seem foreign to those who have been paying for cable or satellite service for years, but these programs were available before the switch to digital signals and are still available today. What you need to do is go to TV Fool and enter your zip code to see how many channels are in your area and how far they are away. 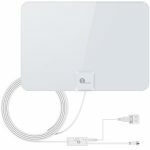 If you see many channels with a green background, an indoor antenna such as this Amplified HDTV Antenna with Amplifier Signal Booster should be enough to receive those channels for $30. This antenna will receive FM/VHF/UHF signals up to 80 miles away and comes with 18ft coaxial cable, mounting stickers, and can be powered by an outlet or USB. 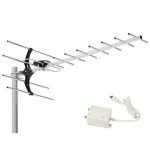 If TV Fool shows many channels with a yellow or red background, consider getting an outdoor antenna such as the GE 70 Mile Digital Amplified Outdoor / Attic Long Range HDTV Antenna that is about $40. You can mount this in your attic or on your roof and the larger antenna lets you receive signals from even further away. All the Netflix plans offer unlimited movies and TV shows that you can stream on all your devices. The difference between the basic $8.99 plan, to the standard $12.99 plan, and the premium $15.99 plan is the the basic plan allows you to only stream to one device at the same time in standard definition, while the standard plan allows two devices in HD, and the premium plan allows 4 devices simultaneously in HD and Ultra HD. Netflix is a good all-purpose service for most people. The main drawback for Netflix is that it does not offer streaming of the most recent episode of TV shows. If you do not mind waiting a few months to a year after a season ends to binge watch an entire season, Netflix would be a good choice. If you are a TV buff who enjoys tuning in each week for the latest episode of your favorite show, Hulu makes a great choice. Hulu is a joint venture between The Walt Disney Company, 21st Century Fox, NBCUniversal, and Time Warner, so subscribers can watch some of their favorite shows the next day after it airs on TV. Hulu offers two plans, a $5.99 plan with limited commercials, and a $11.99 plan with no commercials. If you want live TV, there is an option to add it for an extra $39 per month. There is also an option to customize your plan for additional costs to add HBO, Cinemax, Showtime, and Starz. What sets Amazon apart from the other two streaming services is that while you can subscribe to only Amazon Video for $8.99 per month, it might make more sense to pay the $119 a year and get full access to all of Prime’s benefits. This includes the free 2-day shipping, Prime Music with over a million songs for streaming, unlimited photo storage, and free borrowing of books and magazines. A study reported that as of March of last year, Netflix had 4,563 movies and 2,445 shows available, while Hulu offered 6,656 movies and 3,588 shows, and Amazon Prime Video had 18,405 movies and 1,981 shows. With all that streaming content, how do you determine which is a better value? If you have a particular movie or show that you want to watch, your best bet would be to use JustWatch to see which streaming service has it available. If you are subscribing to cable because of the premium channels such as HBO, Showtime, or Starz, you can cut out the middleman and sign up directly with the channels online so you don’t miss your favorite shows like Game of Thrones, Homeland, and Outlander. By picking and choosing only the channels you need, you can save a lot of money in the process. HBO Now is only $14.99 per month, Showtime Anytime is $10.99 per month, and Starz is $8.99 per month. One of the main reasons why many people say they need cable TV is because of the sports channels. While a HD antenna will get you your home teams, if you want to watch games from other states or countries, one option is signing up for Sling TV. Sling TV is live TV just like cable or satellite, except it is streamed over the internet. Prices start at $25 per month for the Orange package and $25 per month for the Blue package. There are minor differences in the channels available between the Orange and the Blue packages and you can get all the channels in both packages for $40 per month. Any other channels not initially available in the Orange or Blue packages can be added a la carte as a group for $5 or $10 a month. Now you are probably thinking how signing up to all these streaming services and cutting the cord will save you a bundle of money each month, but you want to watch your movies and shows on the giant screen hanging on your wall with that surround sound system that you paid a pretty penny for instead of on your tiny laptop screen. This is where a streaming stick such as the Google Chromecast ($35) or Roku Stick ($40) comes in. This device plugs into your television’s HDMI port and it lets you display video content from YouTube, Netflix, Hulu, Google Play, and many other services over wifi on your television screen in 1080p. The Chromecast and the Roku Stick both do the same thing, only the Chromecast doesn’t currently support Amazon Video. 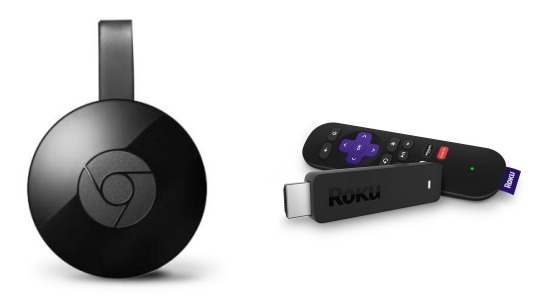 The Chromecast uses apps on your phone or tablet as the remote while the Roku has it’s own remote control. 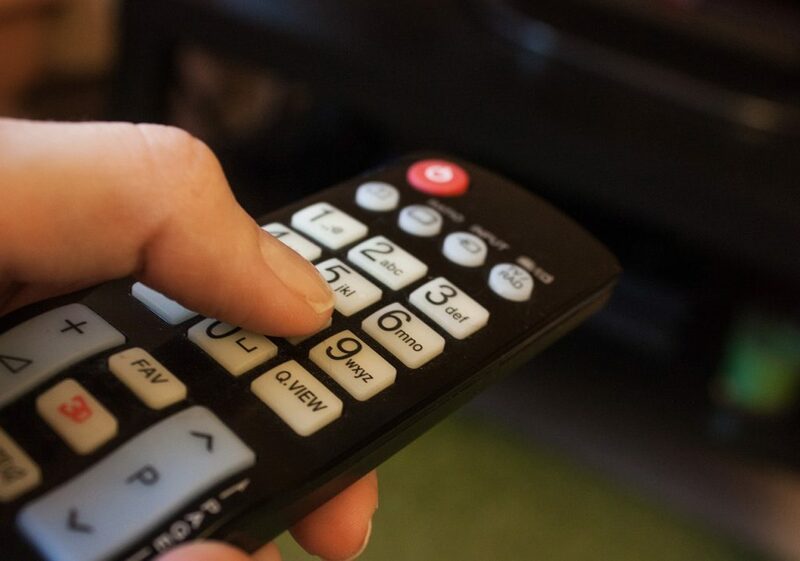 Have you cut the cord already and switched to other services for your television and movie entertainment? What are you currently using?